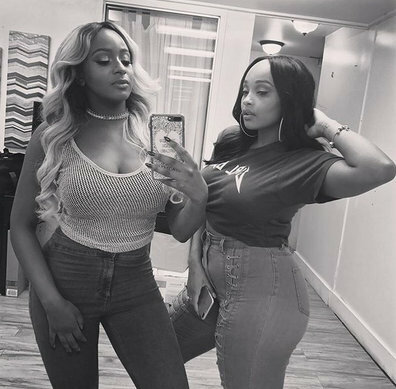 The DJ is seen posing for these pics she took with Davido's cousin, Fola, while in the US. We couldn't help but notice how, her bobby grew over night. By the way, her selfie partner, Fola, is also Nigerian musician, B-Red's sister.